How to judge the quality of tissue paper? The tissue paper can directly influence on our health and quality of life due to its close contact with us. So how to judge the quality of toilet paper? Three main methods for judging the quality of the tissue paper. Good paper towels, either have Light faint scent, or are tasteless, but can not have foul smell, such as musty smell, and even the smell of some medical supplies. Good paper towel feels soft and thick. Suppleness means that the raw material is good, and thickness means that sufficient materials are used. Take out a paper towel to see if the surface of the paper towel is flat, and whether there are potholes. 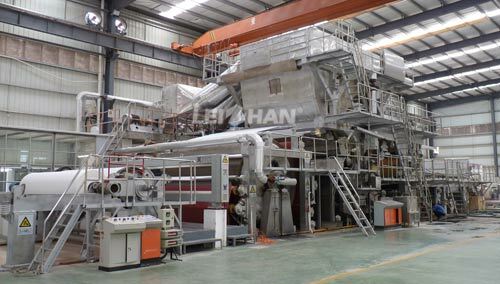 Tear off the paper towel from the middle to see if there is dust, none or a small amount means that the quality of paper towels can be guaranteed; see paper towel strength, if there is neat pure wood pulp fiber and enough length, the tension and toughness are relatively strong. Which tissue paper can not be bought? We cannot buy those with phosphor, all paper towels with unnatural white are more or less added with phosphor to cover defects of the paper towels, which cannot be bought because the paper towels are in direct contact with the human body.